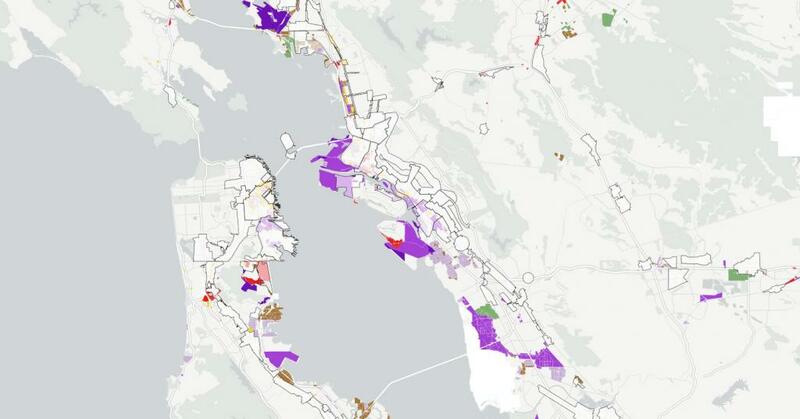 The Urban Displacement Project is a research and action initiative of UC Berkeley’s Center for Community Innovation. The project aims to understand the nature of gentrification and displacement. It focuses on creating tools to help communities identify the pressures surrounding them and take more effective action. Planning Sustainable Regions is a research initiative of UC Berkeley’s Center for Community Innovation highlighting faculty and graduate research on regional planning at the Department of City and Regional Planning. Planning for Jobs seeks to illustrate the importance of planning for jobs at a regional scale. It presents the findings from the Industrial Land and Jobs Study for the San Francisco Bay Area, which analyzes the demand for and supply of industrially zoned land in the nine-county region, both now and in the future.